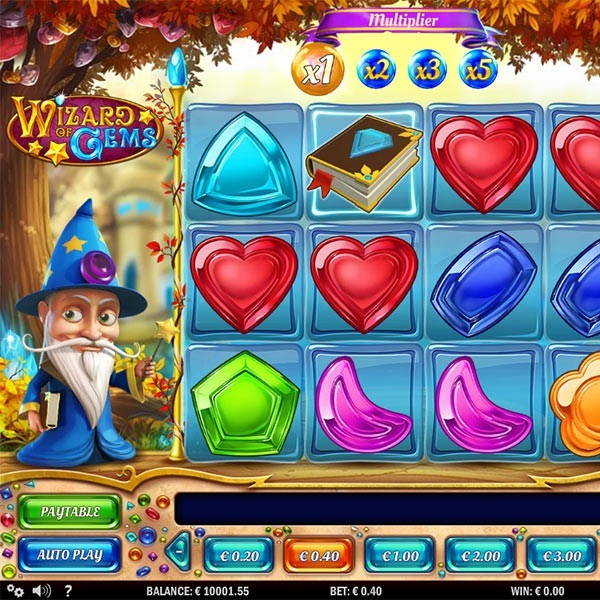 Online slot players that enjoy magic will love the new slot Wizard of Gems which has just been released by Play N Go. It is a 5 reel, 20 fixed payline slot with an animated wizard on the left of the reels. The symbols are all various shapes and colours of gems such as a red heart, a pink crescent, an orange flower and a green pentagon. The wizard’s spell book is wild and the scatter is a large gold star. Each time that a win lands on the reels the gems involved will fall away to be replaced by more falling from the top. Hopefully this will form another win and the process will be repeated. Furthermore, each successive win increases the multiplier from 1x up to 5x. There is also a free spins game where players can win up to 50 free spins by landing scatter symbols on the reels.